No same day adoptions are allowed. Adopting an animal is a serious commitment and should not be taken lightly. We encourage multiple visits to ensure you find the companion most suited to your lifestyle. We consider the one-day wait starting from the time an application is received and approved. Great River Rescue sells some of the basic items needed when adopting your pet such as collars, leashes, carriers, and litter boxes. 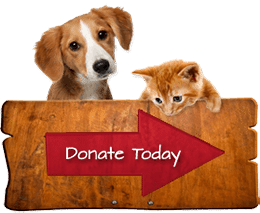 When you purchase from Great River Rescue you will be buying quality equipment from knowledgeable staff and you will be benefiting the animals in our care. Please consider buying the items you need from Great River Rescue. We understand that not all adoptions will work out. Therefore, we allow all adopters a period of time in which they may bring the animal back to Great River Rescue and receive a voucher good for another adoption within a year. Adopters are expected to remain in contact with Great River Rescue if they are concerned about their new animal adoption. Adopters who suddenly attempt to return an animal without communicating with us previously may be turned away. Great River Rescue is committed to adopting out animals in good faith. 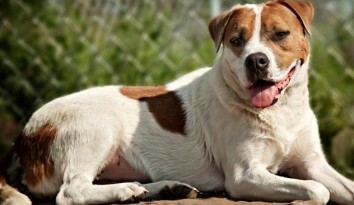 All known medical, physical, behavioral conditions, and special needs have been disclosed to the prospective adopter. Any costs incurred relating to any disclosed or pre-existing condition are the adopter’s responsibility as of the date of adoption. Some of our animals are listed as “special needs pets.” These animals may have behavior or health issues, or maybe they have just been at the shelter for an extended period of time. These animals are available at a discount because of our Special Needs Fund which offsets the cost of the adoption. Great River Rescue does not, under any circumstances, hold animals waiting to be adopted. Any potential adopter who waits beyond the one-day waiting period to pick-up the animal does so at his/her own risk. We will not guarantee that the animal will still be available for adoption if an adopter waits. If you find that your cat or dog has been placed at Great River Rescue due to being picked up by Animal Control (or for any other reason), you may reclaim your animal at a cost of $50.00 plus $20.00 a day each day the animal is at our shelter. 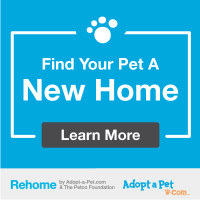 You can re-adopt your pet if our adoption costs are less than the stay. Proper I.D. is required to reclaim your pet. Owners are expected to provide proof of ownership at the time of reclamation which may include photos, vet records, local government registration, microchip registration, or Pedigree registration. 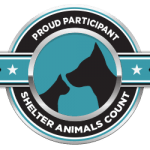 Owners will be required to complete an application to adopt and demonstrate the ability to provide a stable home, a safe environment, necessary veterinary care and nutrition, basic training, identification and companionship for the pet. Fostering animals with medical or behavior issues – Sometimes animals become sick or injured and would recover better in a home setting. Other times animals have behavior issues and might benefit from being in a home with someone who can work directly with the animal on those issues. Still other times the Humane Society has pregnant or nursing animals that need to be in a home where they can be attended to as necessary. For all of these occasions Great River Rescue may seek foster parents to temporarily provide care for animals. These parents do not generally intend to adopt the animal(s), but may still choose to do so after the temporary foster period is over. 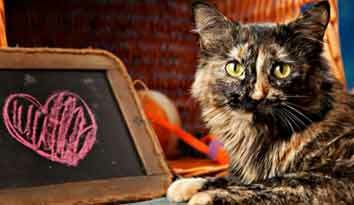 If you can no longer keep your cat or dog and wish to surrender it to Great River Rescue, the fee is $50.00 per animal. If your pet is currently vaccinated, proof of vaccination must be shown at time of surrender. Animals are taken in by appointment only. We maintain a waiting list and the amount of waiting time can vary. We will accept animals depending on space availability. You may also choose to bring items associated with your pet such as their pet bed, dishes, favorite toys, food etc. We will call you once we get to your name on our waiting list. We only go back as far as two months on the list. If you have been waiting two months or longer and have not been called, please call us again to make sure you remain on the list. We do not accept dogs that are overly aggressive, show signs of kennel rage or bite. We do not accept feral or semi-feral cats or kittens that cannot be safely handled. You may provide us with your information and information about the pet you would like to surrender using the following link: Waiting List. Our kennel coordinator will contact you with any questions, or to schedule an intake appointment when space permits. We try our best to be proactive with the waiting list and stay in touch with you regarding the animal(s) you would like to surrender. Please know that due to limited time and resources along with the number of requests we receive, we may not be able to contact you regarding your request for surrender. If you have not been called within one month, please call us back to check on your status on our list. We understand that it can be frustrating when trying to surrender an animal to give it a better life and we are not able to take it in right away. We also understand that it may be confusing when we have so few adoptable pets at times. At Great River Rescue, we practice something called “managed intake.” This is a practice in which we take animals in by appointment only. We do this to ensure we have the time, energy, and resources to properly care for every animal that comes to our shelter. When we are able to effectively manage the intake of new animals we can help more of them in the long run. We also want people to know that while our adoption floor may not always be full with animals, our quarantine and intake areas might be. We have very limited space in our intake areas, and this sometimes prevent us from taking in a higher quantity of animals. It is our goal to someday be able to take-in animals on the spot and provide for their needs no matter what the situation. In order to that we need to continue to grow responsibly. Thank you for being patient and understanding this policy. Of course, we want to help you responsibly care for and/or rehome your pet. Even if we can’t take in an animal immediately, we are here to support you. If you find a stray animal and live within the city of Bemidji, please contact the city at 333-9111. If you find a stray animal and live in Bemidji, Northern, Frohn, Grant Valley, Ten Lakes, or Port Hope Townships, or the city of Tenstrike, please contact animal control at 760-6651. If you live outside of the areas listed above, Great River Rescue may be able to take the animal for a fee of $25 depending upon space availability. If there is no space, you will be added to our waiting list. Great River Rescue believes that all animals should be treated with dignity, care and respect. We take reports of cruelty, neglect, or abuse very seriously. However, we do not have the expertise, resources, or authority to investigate any claims. Please contact local law enforcement and the Minnesota Federate Humane Societies. Make sure you as much information about the situation as you can, especially the address where the incident(s) has occurred. You can call the Minnesota Federated Humane Societies at 612-866-8663 or email them at mnfedhumanesocieties@gmail.com.